We see innovation changing perspectives and lives, in India and all across the borderless world of commerce. Our vision, and our determination to achieve it, makes the future more promising every day. The professional opportunities you’ll discover and create with Pitney Bowes can do the same for your career. Pitney Bowes is a leading global technology company, whose worldwide presence includes offices and employees across India. At Pitney Bowes, we power the transactions that drive commerce. From helping clients use data to maximize customer relations, to optimizing mailing solutions and securing payments through statements and invoices, we deliver innovations that help clients navigate this complex and always evolving world of commerce. Managing Director, India Operations, Pitney Bowes Inc.
As Vice President, Global Engineering, Pitney Bowes Inc., Manish is responsible for establishing and managing the complete range of operations in R&D for Pitney Bowes in various locations across the world including India, where he is also the Managing Director. Manish leads the global R&D portfolio of high growth line of business – Digital Commerce, spearheading new initiatives and leading global engineering teams. He is also responsible for overseeing the delivery and execution of Pitney Bowes’ R&D, Global Professional Services and Support, based out of Noida and Pune. 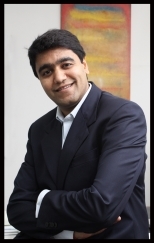 Manish has been associated with Pitney Bowes for more than 13 years. After starting his journey with the company at its Headquarters in New York, he moved to India in 2007, as an expatriate, to start-up our India operations. As the first employee of the company in the region, Manish was responsible for setting up the India offices and lead cross-functional teams to deliver value, consistently, on business goals. Through Manish’s leadership, our India operation has grown exponentially, now including over 600 people, comprising 45+ different software product teams. Manish serves on the advisory board of a few startups, and is a founding member of Catalyst India (along with TK Kurien as chair). He is also Chair-IT, Delhi Management Association, a core member of NASSCOM Regional Council, India CEO Forum, Indo-US Chamber of Commerce, European Union Chamber of Commerce, TiE and Confederation of Indian Industries (CII). He is also on the Governing Council for ETASHA Society that provides vocational training, placement, employability skills training and career guidance to the youth from disadvantaged sections of the society. Manish earned his MBA from Anderson School of Management, UCLA and Harvard Business School. He also has a degree in Architecture. the EEO is the Law Supplement or the Employee Polygraph Protection Act.